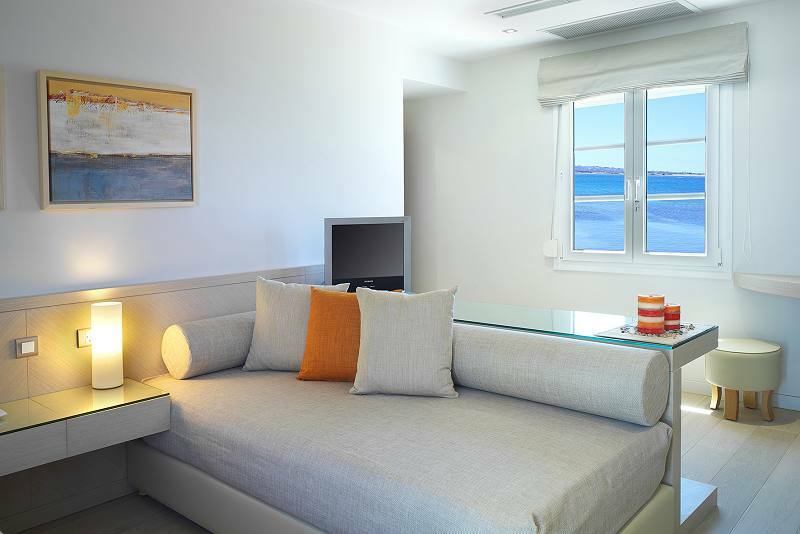 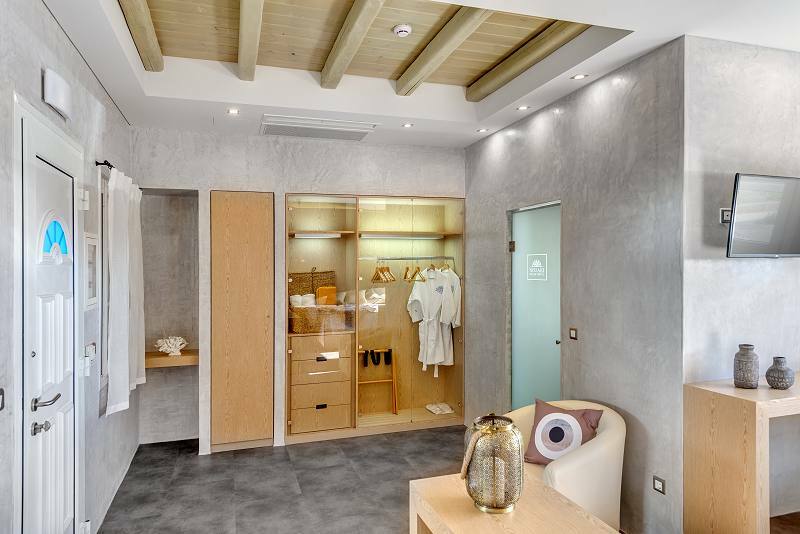 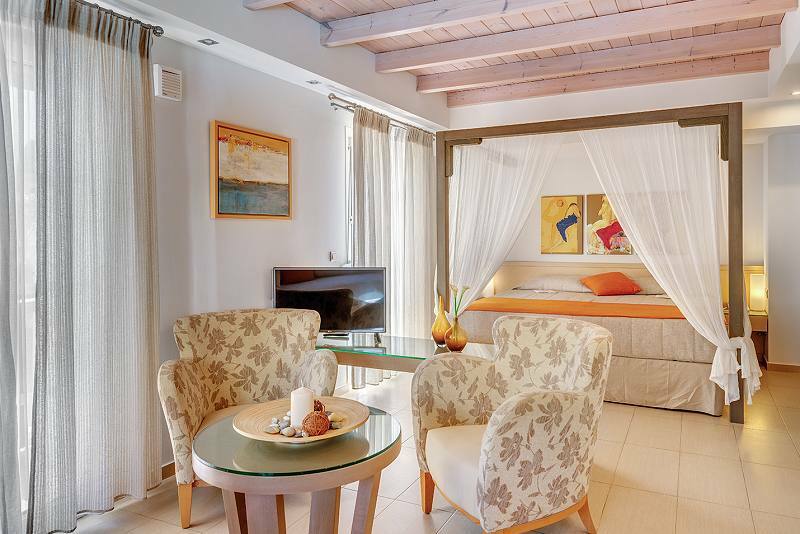 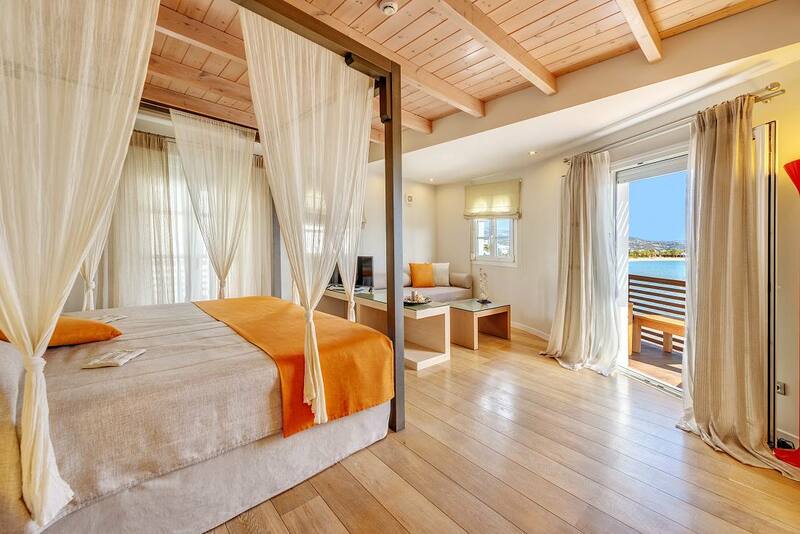 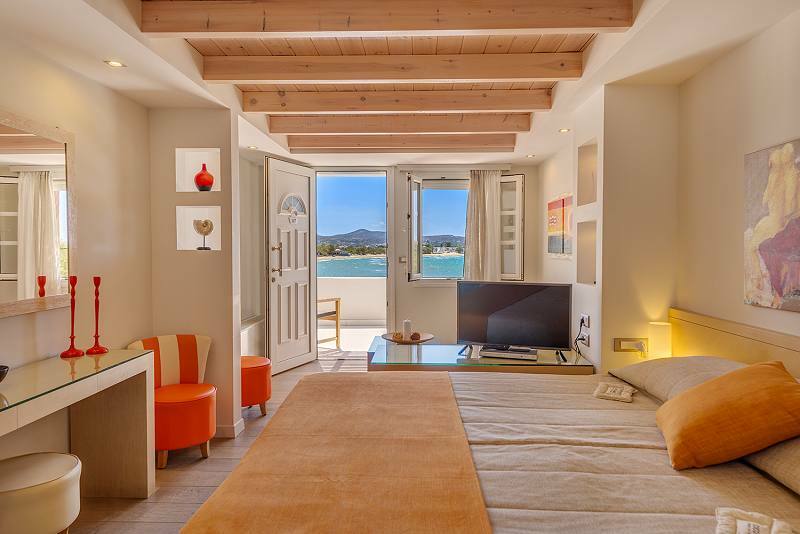 The superior suites of Nissaki Beach Hotel in Naxos are truly spacious and their open plan layout features a bedroom and a sitting area with a nice comfortable couch and stylish armchairs. 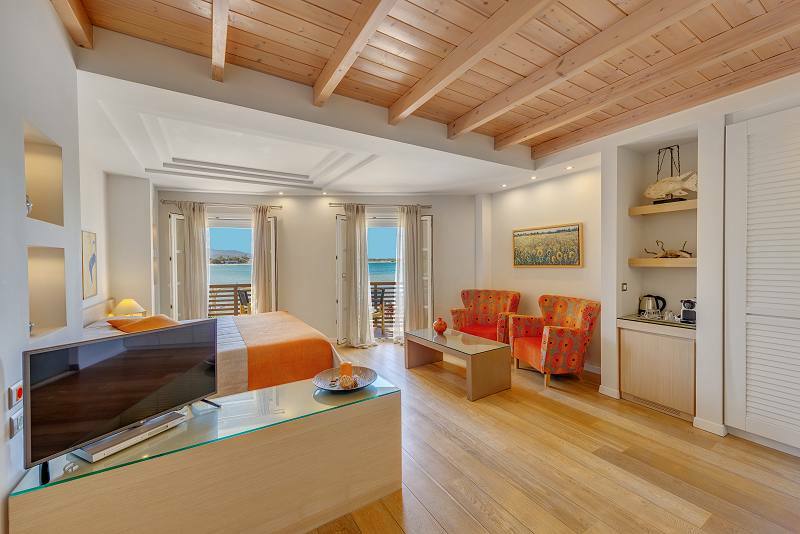 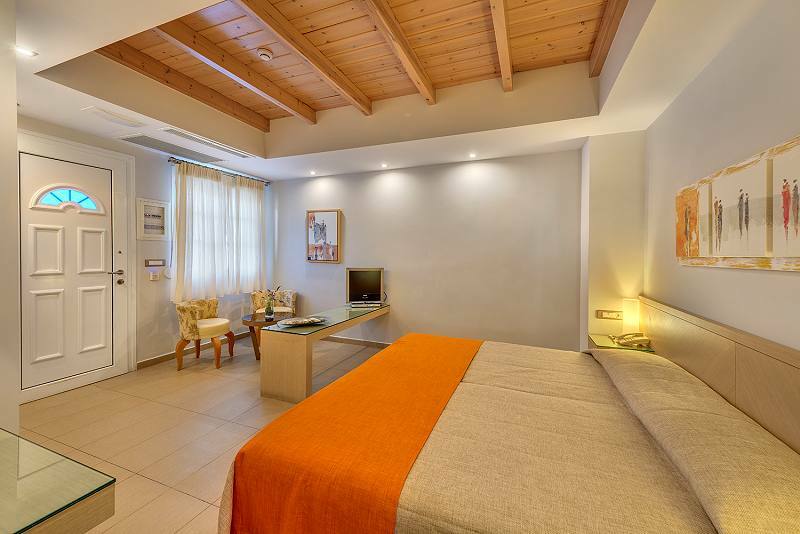 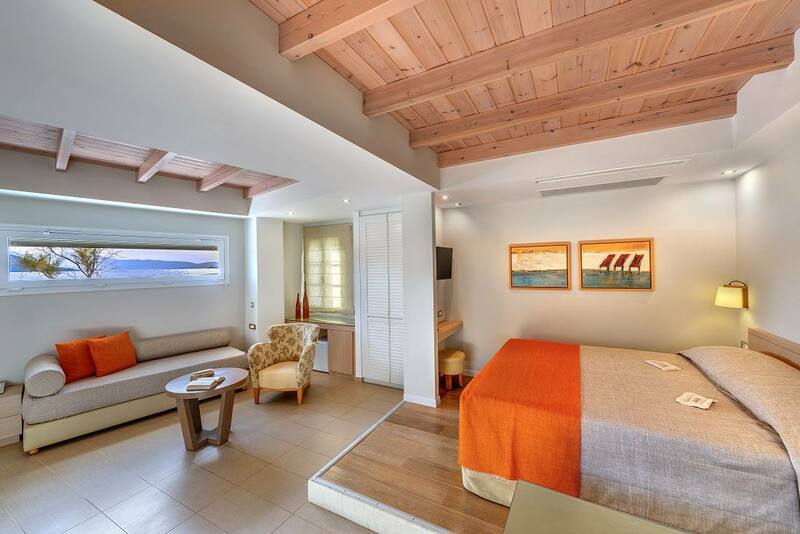 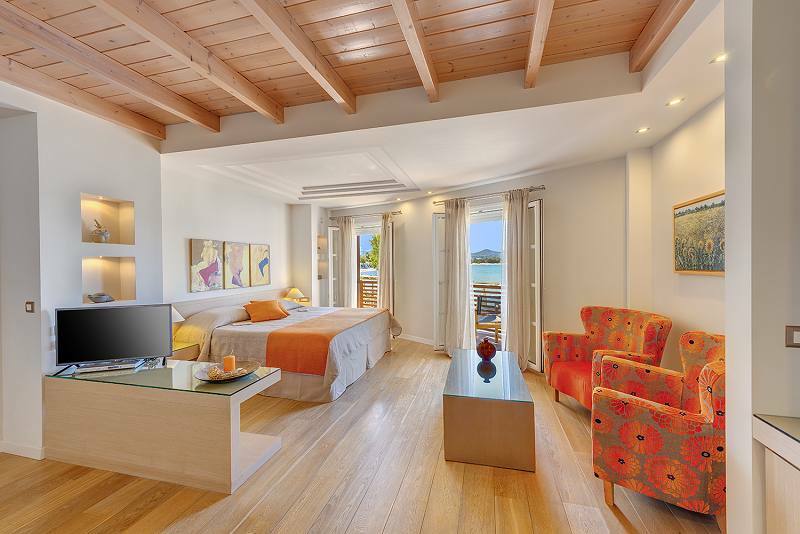 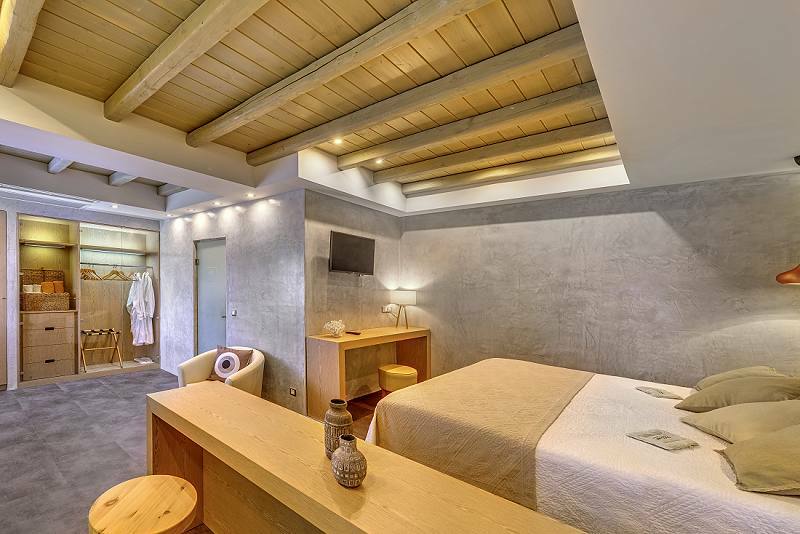 The distinctive wooden ceilings with the hidden lightings, the exceptional views to the pool or the beach of Saint George and the furnished verandas make Superior Suites the perfect choice for a romantic and luxurious stay. 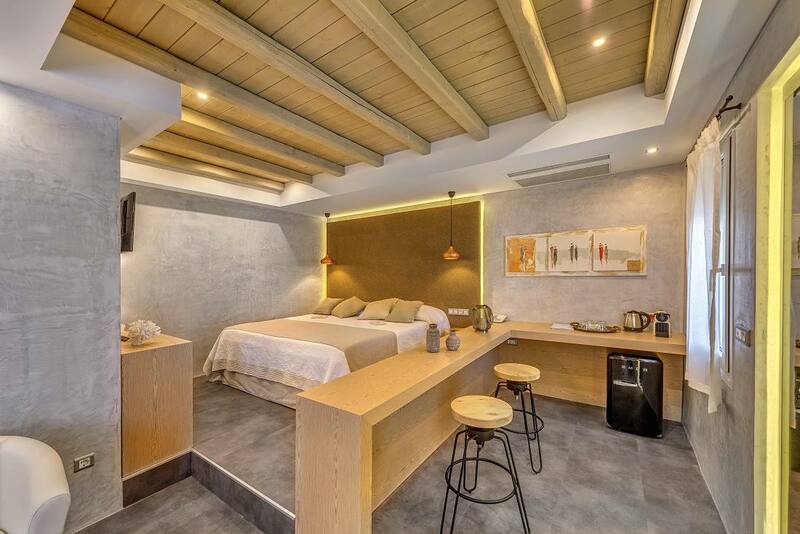 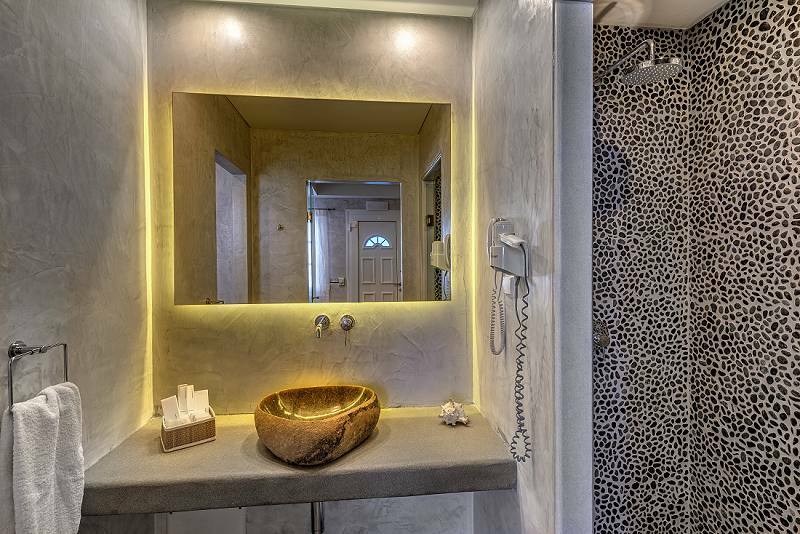 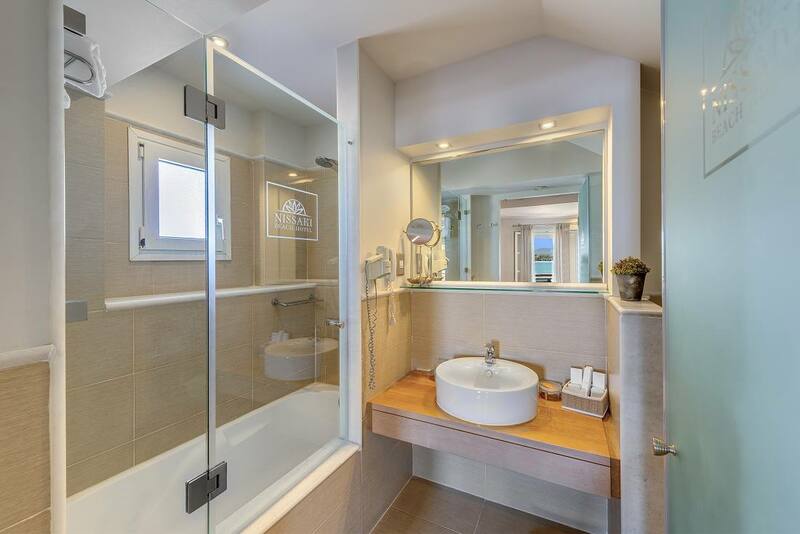 They can accommodate up to 3 people and also feature fine bathrooms with exquisite tiled floors and bathtub or shower.